When the Insolvency and Bankruptcy Code, 2016 was introduced almost a year ago, it was heralded as a revolutionary step. Yet some measures taken by the government towards its implementation thereafter—from Reserve Bank of India’s lists of the ‘dirty dozen defaulters’ to the latest ordinance promulgated by the government to amend the code last week—appear to bely a spirit of retribution against promoters of debt-ridden companies and perhaps reflects a lack of confidence in the banking sector. The code has been categorical towards reviving debt-ridden companies by handing over the reins of the firm to the creditors, displacing the management and the promoters and keeping them outside the realm of choosing the best way to revive the entity. The one avenue for promoters or shareholders to participate in the revival of the company by proposing a plan has all but been taken away by this ordinance. Promoters of such companies will, in all likelihood, be struck by any one or more of the eight ineligibility conditions prescribed under the ordinance. The government’s press release on the ordinance purports that its primary aim is to prevent ‘unscrupulous’, ‘undesirable’ persons from vitiating the code. A closer look at the ineligibility conditions would suggest that the ‘unscrupulous’ and ‘undesirable’ people that the government refers to would include the erstwhile promoters of the company – including those who have provided guarantees. Such a promoter will be barred from proposing a resolution plan for the company, and from being a participant in the management or control of the company were a resolution plan to be proposed by a third-party investor, and also from buying out the assets of the company in liquidation. This has been stated to be a step towards maintaining the ‘credibility’ of the processes under the code. Would it then be accurate to say that the law-makers are of the view that any plan proposed by the erstwhile promoters of the company or involving such promoters playing a significant role in the firm post resolution is to be viewed suspiciously? Are promoters of companies which have fallen upon bad times to be viewed as lacking in scruples? This surely cannot be a universal stand taken by the law – there may well be promoters who have backed the company and the creditors with personal guarantees and management support only to find the company in financial doldrums owing to market conditions or even what could be viewed in hindsight as wrong decisions. Particularly in the face of a rising NPA crisis, surely none of the participants can be absolved of making decisions that seem wrong in hindsight. Should a promoter not be given an opportunity to rectify his mistakes or simply do better, same as a lender restructuring his debt or a regulator reforming its laws? A law which precludes a promoter who has not been convicted of any wrong-doing from participating in the resolution process may even be questionable on the ground that it runs the risk of penalising genuine promoters who are willing to work with the creditors to revive the company, on the basis of some bad experiences. The ordinance is not very forgiving to the lenders either. While the code had granted the creditors with the crucial task of deciding on a plan for reviving its debtor companies, the ordinance cuts through the decision-making powers of creditors in determining who they can deal with in coming up with this plan. To cut a long story short, lenders today cannot invite or entertain plans from the erstwhile promoters even if the promoters’ plan offers the best returns or recovery options and is, in the view of the creditors, commercially viable. This hints at a lack of confidence in the lenders who have otherwise been tasked with the responsibility of determining what it will take to bring a company back on track financially and operationally, not only for their own interests but also for the good of the other stakeholders like trade creditors and the labour force, who have not been given a say in the matter. The ordinance may not find favour with creditors who are looking at commercially feasible alternatives to recoup their debt. The outright exclusion of promoters may scuttle the chances of the lenders attracting financial investors who may look to the existing promoters for management support particularly in sectors where business knowhow is critical and scarce. In fact, it would not be unusual to expect private equity investors to impose obligations on the exiting promoters to actively support and participate in the revival process. Some of the categories of participants who have been rendered ineligible to participate in the revival of the company are directly attributable to the proven ‘unscrupulous’ acts of these persons – for instance, there can be no argument against allowing a wilful defaulter from coming back to have another go at the company and its creditors. The waters are muddied by the fact that other categories are not based on proven or established transgressions of the barred participants but appear to stem from a mistrust in the big bad corporates, banks and promoters alike. For instance, a conglomerate may have several companies which include market leaders and non-performing companies alike. However, one company in the group with a non-performing account may prejudice the chances of the conglomerate as a whole to participate in the processes under the code. It is difficult to understand the reasons for such ordinance given that in our jurisprudence as a general principle even in court-driven arrangements in India, the reach of the law and the judiciary does not extend to the commercial feasibility of the arrangement between the stakeholders and is limited to evaluate the legal compliances and facilitate arrangements which are acceptable to all the stakeholders. The ordinance brings a new degree of legislative intervention in the banking and corporate sector, which if nothing else cannot be accused of being laissez faire. Whether the decision to so intervene will benefit the market as a whole, even if it is at the cost of a few genuine promoters, will only be tested in the months and years to come. In the meanwhile, it appears that the free-market proponents and market participants will need to prepare themselves to be called upon to justify their commercial decisions on the emerging significance of righteousness enshrined in the ordinance. 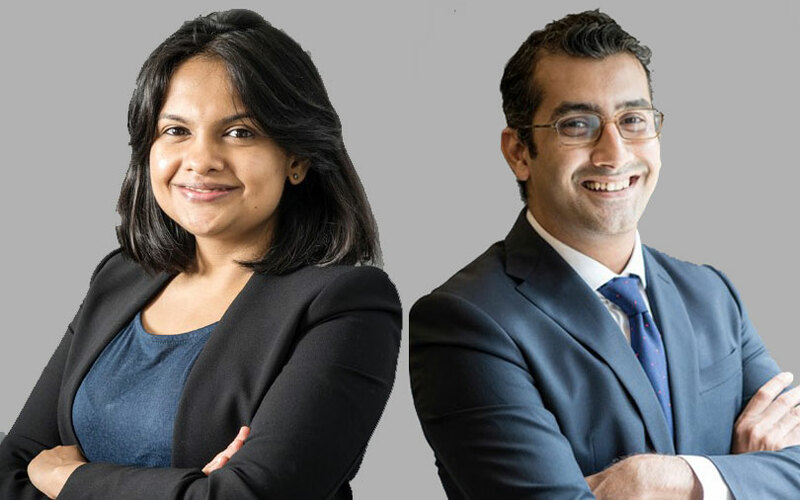 Zubin Mehta is partner and Amrita Sinha is senior associate at law firm Veritas Legal. Views are personal.